WASHINGTON (Reuters) - Democratic leaders in Congress said on Monday they had accepted an invitation from President Donald Trump to meet with him and Republican leaders to discuss year-end legislative priorities, including efforts to fund the government and avoid a shutdown. 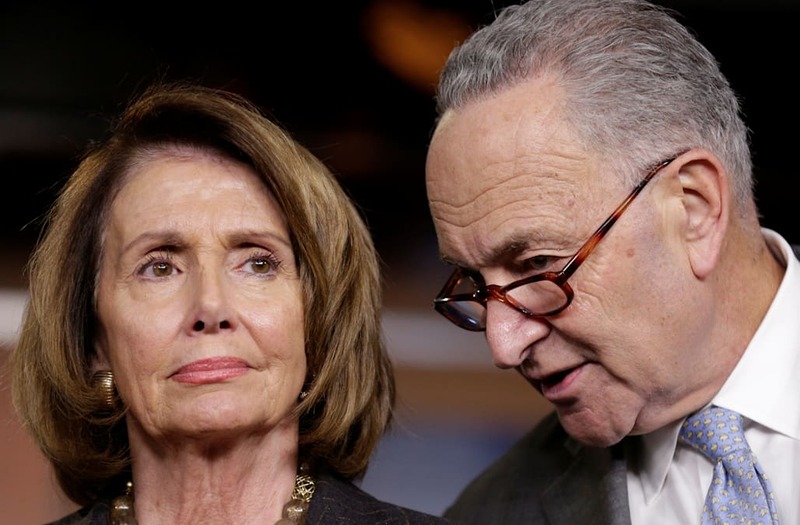 House of Representatives Democratic leader Nancy Pelosi and Senate Democratic leader Chuck Schumer, who canceled a meeting with Trump last week after he issued a disparaging note on Twitter, said in a statement they hoped the president would remain open-minded about reaching a deal with Democrats. "We need to reach a budget agreement that equally boosts funds for our military and key priorities here at home," Pelosi and Schumer said. "There is a bipartisan path forward on all of these items." The meeting with Trump that Schumer and Pelosi skipped last Tuesday was to have focused on the budget, raising the risk of a government shutdown next month with both sides far apart on the terms of an agreement. "I don’t see a deal!" the Republican president wrote on Twitter at the time.